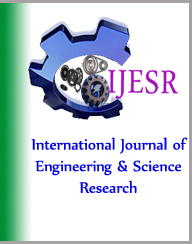 The International Journal of Engineering and Science Research (IJESR) is an international online journal in English published monthly. 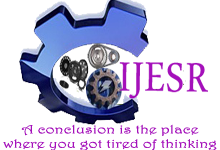 The aim of IJESR is to publish peer reviewed research and review articles fastly without delay in the developing field of engineering and science Research.
" Engineers participate in the activities which make the resources of nature available in a form beneficial to man and provide systems which will perform optimally and economically. " Exploring the interface between academic research and practical application, the International journal of engineering & science research serves all practitioners, professionals and clients in the engineering, design and technology sectors. The journal aims to expand the boundaries of knowledge in these fields and provide an international forum for the interchange of information and current issues from around the world. This multidisciplinary journal is published under the guidance of an expert international board and presents fully refereed papers on practice and progress in the field.